On a 5-0 vote last night, the Commission denied BFC Holdings’ application to build a 52,600 square-foot mixed use complex at 158 E. New England Ave. The basis for denial was the applicant’s failure to offer sufficient mitigation for the 80- to 100-space parking deficit (the exact number depends on who’s counting and how). Even though the City was prepared to grant an unprecedented concession of requiring three parking spots per 1,000 square feet of office/retail space – all other Class A office buildings in Winter Park are required to provide four spaces per thousand – BFC Holdings still came up short. When this project was tabled at the March 27 Commission meeting, Planning Director Dori Stone observed that the City’s parking studies needed updating. The City has since hired a consultant, Kimley-Horn, who is now in the midst of a parking assessment of the Central Business District (CBD). Commissioners suggested that allowing this project to go forward with such a large parking variance before they have the study results would be premature. If the Parking Code is Wrong, Why Is It Still In Place? Commissioner Sarah Sprinkel objected to the Commission being asked to grant what amounts to a change in the parking code for a single applicant. “Why is the code still in place, even when you are now telling us it shouldn’t be?” asked Sprinkel. At the March 27 Commission meeting, Planning Director Dori Stone asserted that Class A office space in the CBD operated differently from Class A office space in any other part of Winter Park and could, therefore, be supported by three spaces per 1,000 square feet. At the July 10 meeting, Planning Manager Jeff Briggs stated that staff “was having difficulty coming up with an agreed-upon definition of Class A office space.” Parameters for size and other characteristics of everything from hallways to conference rooms, which would set ‘Class A’ apart from Classes B or C, apparently do not exist. Can Valet Parking Promise Be Enforced? Referring to the applicant’s assurances that all visitors to the new complex would be required to use valet parking, either in the New England Avenue building garage or in the Bank of America garage across the street, Commissioner Greg Seidel questioned how the requirement to use valet parking would be enforced. Unless the applicant enforces the valet parking, it probably will not be enforced at all, since Winter Park employs only one parking enforcement officer for the entire City. Commissioners asked the applicant for compromise. “The building is lovely,” they all agreed, “but it’s too big.” Commissioner Peter Weldon said he thought it was time to “close the chapter” on the application in its current form, and he moved to deny. The other four Commissioners agreed. BFC Holdings will return to the Commission on Monday, July 10, with their proposal to build a 52,600 square-foot mixed use building at 158 East New England Avenue. The proposal came before Planning & Zoning and then the Commission in March of this year. Neither body was able to reach a decision regarding the project, which requests variances for building height, third-floor setbacks and a significant parking deficit. After hearing the application on March 7, P&Z was evenly divided, with a 3-3 vote. Rather than tabling again – as they had at the November 7, 2016 meeting — or denying the application, P&Z kicked it forward to the Commission. On March 27, the Commission couldn’t decide either. They were okay with the variance for 45 feet of building height, rather than the 40 feet permitted in C-2 zoning. They were also willing to go along with a vertical façade along Knowles Avenue with no setback or terracing on the third floor to break up the vertical mass of the 45-foot-high wall. But they just couldn’t solve the applicant’s fuzzy parking math. 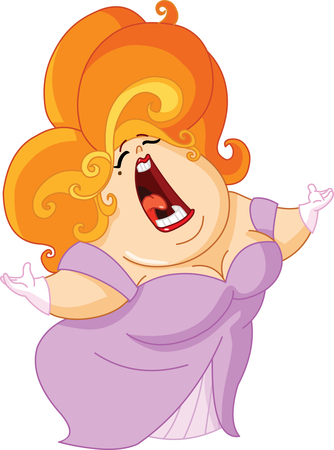 See Winter Park Sings the Parking Blues. Concluding a meeting that lasted well beyond 10:00 p.m., the Commission unanimously voted to table the application, advising the applicant their project “was not ready for prime time,” and to “work things out” regarding the parking variances. What’s Changed Since March 27th Meeting? Apparently, the only things that have changed are the weather and the requirement for public notice. According to City Code, after a tabling the only people required to receive notice in the mail of a public hearing are property owners within 1,500 feet of the subject property. The hearing is, however, publicly advertised, as are all public meetings. Since no decision was reached at three previous hearings, BFC still has to clear the hurdles. As a request for Conditional Use for a three-story building within the Central Business District, BFC’s application requires two more hearings. A July 10 Commission decision to approve the project would result in a second hearing July 24. Will Rollins Stadium Disappear from MLK Park? 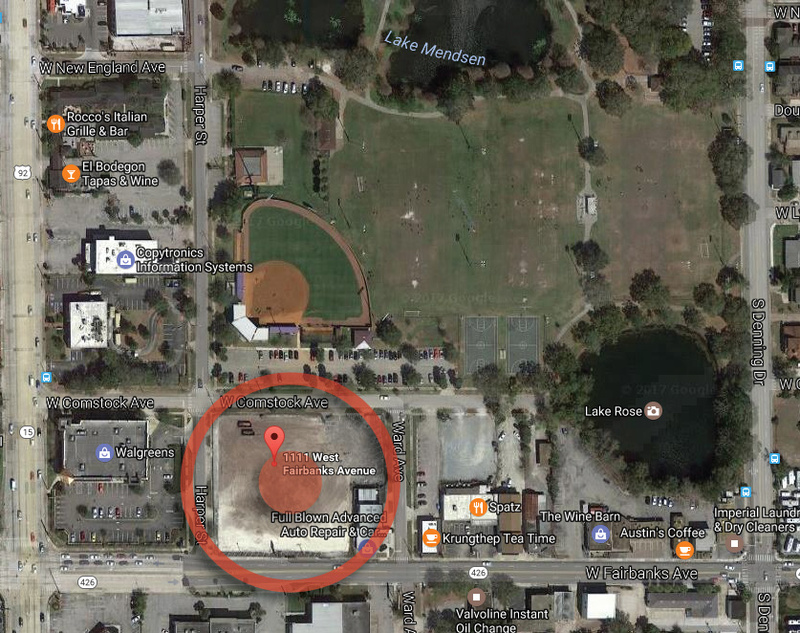 At a June 15 Parks and Recreation Advisory Board workshop, the attending parks consultant stated that Rollins College and the City were contemplating moving the Rollins softball stadium out of MLK Park. Communications Director Clarissa Howard told the Voice that Rollins officials had indicated “a willingness to discuss the possibility,” though she could not confirm that such discussions are currently underway. Whether these discussions occur now or in the future, if it turns out the stadium can be removed from its present location, a primary reason for relinquishing the bowling alley property would also be removed. Costly or not, the stadium has outlived its usefulness. It is no longer regulation size and cannot support sanctioned play or host tournaments. The possibility of removing the stadium opens up a whole new dynamic for MLK Park. If the bowling alley property were retained and added to the mix, it would create unobstructed sight views — a dramatic ‘view-shed’ from the planned library/events center on the north end of the park all the way to Fairbanks on the south. Winter Park would have a gateway feature with a Grand Allee, leading to a world-class library-event structure with green space in between. I hope the Mayor, Commissioners and City Manager do engage in discussions with Rollins to remove the stadium from the MLK footprint, and that they will reconsider the opportunity to create that unobstructed view through the park. In the presence of such a possibility, would it not be wise to slow things down, to assume a wait-and-see stance? That kind of game changer would be a win for everyone. On June 1, I wrote an article titled “Keep the Bowling Alley Property – Expand MLK Park” and published it in the Winter Park Voice. The next day, June 2, Commissioner Peter Weldon circulated an email to Winter Park residents with a link to his own blog, Winter Park Perspective. Weldon’s instruction at the top of the email was: “Fellow Winter Park Residents, Please share with friends and neighbors.” Having received this email and concluding I was not alone in receiving it, I heeded Weldon’s instruction and posted his email in the comments section below my story. The editor of Winter Park Voice, Anne Mooney, has stopped her pretense of providing “news” and has gone public with her true purpose, that being to use her blog and Facebook page to promote her policy prescriptions for Winter Park. Notably, these prescriptions are underpinned by conspiracy theories and based not on fact, but on suspicion that those who actually spend their time serving the city must have some unjust ulterior motive, because they don’t share her views. I am going “full monty” on this because the people of Winter Park deserve to understand the manipulation. I expect, and believe you deserve, city policy driven by full and thoughtful debate, not driven by political manipulation from people for whom a political agenda supersedes respect for the facts and respect for those who serve our community. Ms. Mooney’s latest piece exposes her efforts as a significant disservice to Winter Park. 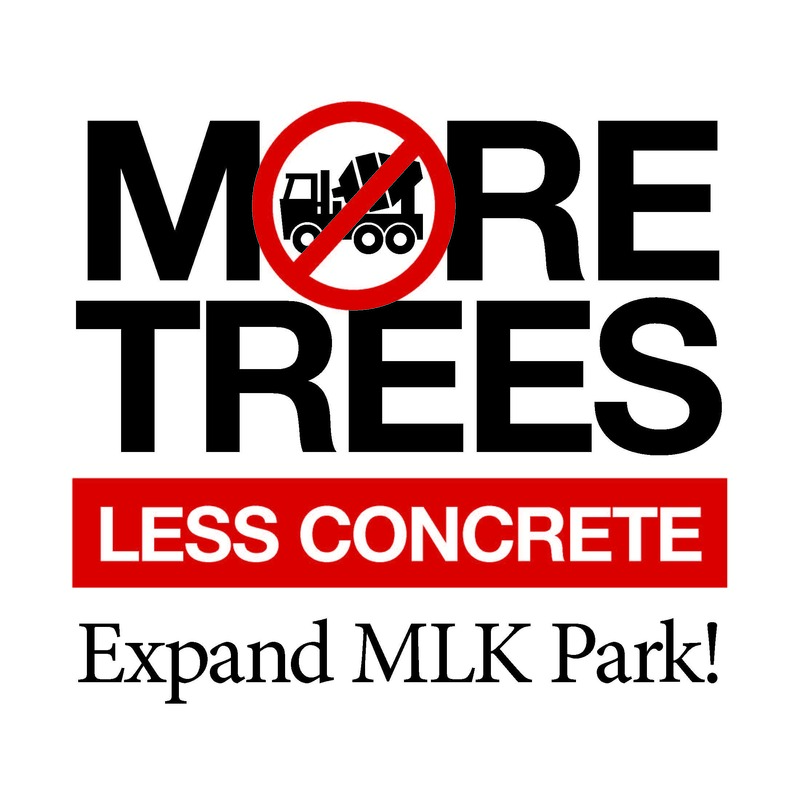 Please read: “Keep the Bowling Alley Property – Expand MLK Park,” and then go here for some facts. Who Puts Up Comments on Voice Site? Only two people can post anything on the WP Voice website – the editor and the web developer. Comments input on the site are held for moderation and must be approved, and only then are they posted. Comments containing personal attacks and inappropriate language are not posted. Comments may be edited to remove inappropriate language. No reader has direct access to the site. Originally, I posted Commissioner Weldon’s email under the title “Pete Weldon.” He did not post it; I did. Very soon after, a person writing as “John Dough” responded to Weldon’s comment. I moderated Dough’s comment and posted it. It appears beneath Weldon’s post, as it was written in response to Weldon’s comment, not to the article. Those of you who have posted on the Voice website know that there is a way for you to post with a pseudonym and a way to hide your email address. “John Dough” posts frequently and takes advantage of these features. When his or her post arrives via email, the only information visible to the moderator is the IP Address of the computer. The right to post an anonymous comment has been the policy of the Voice since its inception, and it will remain Voice policy. The next day, June 3, Commissioner Weldon sent the following email. I note a comment here: http://winterparkvoice.com/keep-the-bowling-alley-property-expand-mlk-park/ under my name that I did not post. It appears the person commenting anonymously as “John Dough” created the comment under my name so he or she could write a response, pretending it was a response to something I posted. I ask that you immediately remove the comment using my name, along with the response. I ask that you send me the identifying Internet information on the comment under my name. This would include email address and IP address along with other information tracked by your blog software. I ask, as I have before, that you limit comments to the Winter Park Voice Facebook page where the author needs to have a verified identity. I hope you will someday contribute to minimizing politically motivated manipulation of the facts, rather than facilitating such behavior. I am looking into legal action and encourage you to remove the comment and the response immediately. I also ask that after removing the comment and response, that you post a comment noting what happened and tell your readers what changes you will make in your site policies to avoid abetting such fraud. I point out that your failure to have and to enforce policies intended to avoid such fraudulent behavior is a tacit endorsement of such behavior. June 6 — Weldon wrote to correct the typographical error in the link. The link below is a typo. 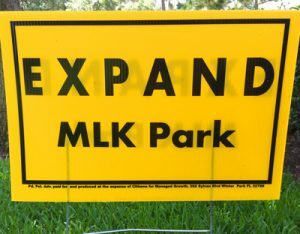 The correct link is: http://winterparkvoice.com/keep-the-bowling-alley-property-expand-mlk-park/. I trust you will remove this fraudulent comment using my name and the related response. It has now been 3 days since the initial request. On June 19, Weldon sent the following message. I see you have changed the title of the fraudulent comment under my name. 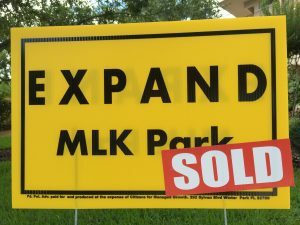 Link: http://winterparkvoice.com/keep-the-bowling-alley-property-expand-mlk-park/. Write a story that you email to your list and post on the WPV Facebook page with a detailed history of how you allowed an anonymous source to fraudulently post a comment under my name and then allowed comments on the fraudulent comment. Clarify that your [sic] chose to pretend “WP Voice staff” posted the comment when in fact you did not. 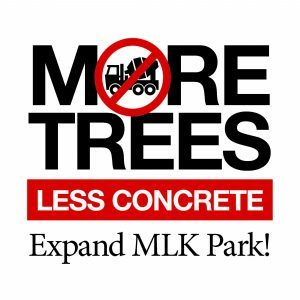 The story would include a link to my actual blog post referenced but not linked in the fraudulent post: http://www.winterparkperspective.org/2017/06/02/no_trees_lots_of_concrete_no_park_lots_of_money/. I certainly hope you come to better understand your responsibility as a paid commentator. Although I never personally responded to any of Weldon’s emails, I did seek assistance from the First Amendment Foundation. On June 20, First Amendment Foundation President, Barbara Petersen wrote to Mr. Weldon advising that, as an elected official and public figure, his correspondence constitutes public record. Since Mr. Weldon sent the emails to the Voice editor, they were obtained lawfully and the Voice has the right to publish them. As editor of the Winter Park Voice, I am a journalist protected by the First Amendment. It is indeed humorous to receive your letter! I am a supporter of the sunshine law and take it very seriously. I feel badly that you took your time to write a two page letter informing me of what I already know and act upon. I never questioned anyone’s right to re-publish anything. It is Ms. Mooney’s sanctimonious request for you to question my requests to her that should receive your attention. Ms. Mooney has a long track record of pretending to provide “news” to Winter Park residents when the facts are clear that she is purely a political actor, offering commentary and writing on subjects only supportive of her positions, and those of residents who confidentially fund her. While legal, there is nothing transparent in the “Sunshine” sense about anything Ms. Mooney writes or distributes. She blatantly coordinates behind the scenes with commissioners and others to push out emails and blog posts timed and designed to promote a political agenda (exactly the back room dealing the Sunshine Law is intended to prevent). Her request to you to admonish and question me about transparency and the sunshine law is the laughable height of hypocrisy. On or about June 2nd someone posted a copy of an email I wrote as a comment on Ms. Mooney’s blog. There is no problem in duplicating what I wrote, provided the person posting the comment identify themselves and note that they are copying my email. The problem is that this comment was shown as being placed on the blog by me under my name, when in fact I did no such thing. Further, the comment was something I would never have offered on Ms. Mooney’s blog. Someone fraudulently used my name as the person posting the comment. The content of the comment is not in question. Fraud includes a person or thing intending to deceive others. Someone, perhaps Ms. Mooney but she has not come forward, posted the comment pretending to be me, thereby intending to deceive others that I in fact posted the comment when I did not. Shortly after, someone commented on the comment falsely ascribed to me, indicating that the commenter either believed I had posted the comment or was the person posting the comment using my name, and did so to create a context to provide their comment. Sometime recently, at least 10 days after I brought this to Ms. Mooney’s attention, without responding to me, Ms. Mooney changed the author text of the comment to read, “Emailed to residents by Peter Weldon and posted here by WP Voice staff June 2, 2017 at 4:20 pm.” Which is false. Ms. Mooney conveniently removed my name as the author of the post many days after the actual posting, not on June 2nd. All those reading the post prior to Ms. Mooney’s edit were misled and Ms. Mooney has done nothing to correct the record. She has either committed or abetted fraud, or both. My apologies on behalf of Ms. Mooney for wasting your time. 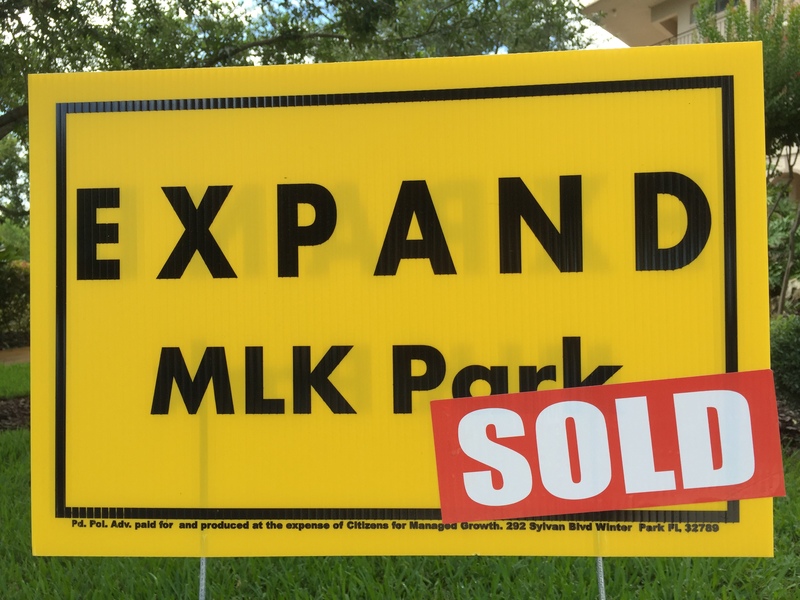 One week ago, the Winter Park City Commission voted 3-2 to move forward with the sale of a gateway property contiguous to one of the city’s benchmark parks: MLK Park, future site of the new Library/Events Center complex. The 1.5 acre parcel, known as the Bowling Alley property, could have become a functional green space entranceway to our city. But a gateway argument did not capture this Commission’s imagination. Citizens are now left with serious questions about how all our expensive studies, workshops and summary reports can come together to form a cohesive plan for parks, ball fields, green space, partnerships, trails and connectivity, supported with the necessary implementation budget. 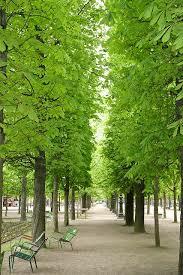 Our Parks Masterplan (2008 Wade-Trim) is now 10 years out of date. This is the document which should be guiding our next steps, not only with current decisions surrounding MLK Park, but all our future parks discussions. First things first. Let’s hope the City Commission adopts a budget for this badly needed roadmap (estimate: $120,000) and expedites implementation. We are coming late to this party. Other questions which merit attention: Will Winter Park have a “Great Park” one day? Where is that plan? What is the vision? What green space parcels has the City acquired in the past 2 years? 4 years? 6 years? Are we keeping pace with need and more importantly, with our required 10 acres of park space/per 1,000 resident formula, now that our population has reached 30,000? The 2008 Parks Masterplan states that “seventy-nine (79) acres of additional parkland are required by 2028 (note: that’s in 10 years) to meet existing and projected demand for parks and recreational facilities” (Recommendation 3.1). Where will this new park land come from? At what price? It would appear that we are making decisions in a vacuum. The budget for the MLK Park future usage exercise with GAI consultants is in the range of $50,000 in CRA monies. Yet there is apparently no cross-reference with our own Winter Park Parks Masterplan needs and capacity issues, because it is 10 years out of date. Interesting as well, our Winter Park Vision plan was submitted on June 9, 2016, and has been sitting on a shelf for the past year. Why pay $200,000 for a plan we are not going to fund or implement? Are these exercises meant to be moot? By Charles Lutwidge Dodgson writing under the pseudonym Lewis Carroll. Charley Williams provides the marketing for a local civil engineering firm working on such infrastructure projects as Sunrail, Wekiva Parkway, I-4 and the new South Terminal at Orlando International Airport. He has been a Winter Park resident for twelve years. Pleas of the Parks & Recreation Advisory Board and the citizens to move more slowly fell on deaf ears Monday night as Commissioners voted 3 to 2 to put up the For Sale sign on the bowling alley property at 1111 W. Fairbanks. A 20-foot setback along Fairbanks will be retained to build a turn lane onto 17-92. The property is zoned C-3 commercial. According to Planning Director Dori Stone, the City will exclude proposals for banks, fast-food restaurants and automobile services (gas stations, repair shops, etc.) at this location. The Notice of Disposal (NOD) will be publicly advertised, and bids are due 30 days from the publication date. The city realtor, Bobby Palta from CBRE, noted there was already considerable interest in the property, and that the City had been doing some “pre-marketing for the past couple of weeks” with various developers. The property is appraised at $2.96 million, which will be the minimum bid price – $60,000 more than the City paid when they bought it from Rollins in 2016. The Commissioners will, however, maintain flexibility in their choice, giving preference to plans that include less tangible assets like tree planting and additional green space. Commissioner Carolyn Cooper expressed her discomfort with the process by which the Commission arrived at the decision to sell. She noted the process had gone from the public GAI workshops to the Commission without first going through the advisory boards. During the GAI public meetings, the bowling alley property was not supposed to be part of the discussion, but actually played a prominent role in the discussion that occurred at both meetings. Cooper suggested the decision to sell the land be tabled and returned to the Parks & Recreation Advisory Board so they could bring their recommendations back to the Commission at a later date. 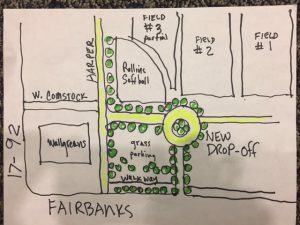 She noted other information the City doesn’t have yet, like an evaluation of the storm water retention requirements that will be created by the new library-event center, and new corridor design standards for West Fairbanks, which have yet to be completed. Commissioner Greg Seidel proposed Commissioners delay the sale to give them time to involve the Florida Department of Transportation (DOT). Instead of assuming an extra turn lane is the best solution, FDOT could do an intersection control evaluation at Fairbanks and 17-92 to give the City the benefit of their expertise. Seidel argued that the City could work to persuade DOT to prioritize a determination about what technology would be most appropriate at that location. Cooper’s motion to table, for no time certain, failed for lack of a second. Greg Seidel then moved to table for a time certain of three months. His motion was seconded by Cooper, but failed on a 3-2 vote. In answer to the question of why the Commission had not sought the input of the Parks & Recreation Advisory Board Sprinkel wrote, “The boards have a charge and since this was commercial property used for traffic alleviation it was not considered part of their [Parks & Rec] charge. The 3 million dollars returned to the fund [the City’s General Fund] will allow wp [sic] to continue their strong 20-25% reserves,” reserves that may play an important role in the next election cycle. Bob Bendick pointed out that the City is in the midst of creating a Master Plan for MLK Park, and that the decision to sell land that is contiguous to the park is premature. Bendick noted a reasonable desire among some Commissioners to recoup funds spent to purchase the bowling alley property, but cautioned that once sold for commercial development, the opportunity to incorporate the land into the park would likely be gone forever. A May 30 letter from Parks & Recreation Advisory Board Chair Carl E. Creasman, who wrote on behalf of all the board members, makes an eloquent plea to the Mayor and Commissioners not to sell the bowling alley property at 1111 W. Fairbanks. The letter states that the proposed sale of the property, which is adjacent to Martin Luther King, Jr. Park, came as a surprise to the Parks & Rec Board at their May 24 meeting. To see the entire content of Commissioner Weldon’s response, click here. Further discussion of the final disposition of this property will likely occur at the June 12 Commission Meeting. Stay tuned. Yellow signs are popping up everywhere, urging the City not to sell the bowling alley site at 1111 W. Fairbanks, rather, to use it to expand Martin Luther King, Jr., Park. The final vote will likely be at the Commission meeting on June 12. The meeting begins at 3:30. Public comment is usually taken around the 5:00 hour. Click here for the meeting agenda. The old bowling alley property has a checkered history. In late spring 2013, Rollins purchased the property when it looked like Harper-Shepherd Field would become a Minor League baseball stadium and no longer would be available to Rollins teams. 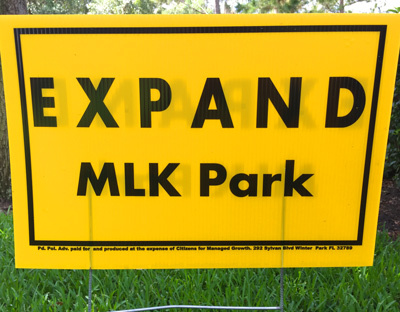 Being contiguous with Martin Luther King, Jr., Park, the property was ideal for Rollins to expand their playing fields. Editor’s Note: According to Communications Director Clarissa Howard, Rollins purchased the bowling alley property for use as a lacrosse practice field. She said the purchase was unrelated to Minor League baseball at Harper-Shepherd Field. When it became clear that baseball would not be coming to Winter Park, however, Rollins no longer needed expansion room and put the property up for sale. UP Developments, LLC, contracted to buy the property from Rollins. But the City wanted the property, too. At the time, they had their own ideas about expanding MLK Park and mitigating some of the traffic problems on Fairbanks and 17-92. In the fall of 2014, Scott Fish of UP Developments, LLC, agreed to assign his contract with Rollins to the City, so that the City could buy the property from Rollins. That deal didn’t work out, and Rollins ended up keeping the property until 2016, when the City bought it for $2.9 million. Editor’s note: Ms. Howard pointed out that the City did not use park acquisition funds, but instead took money from the CRA and general fund reserves, thereby avoiding any requirement that the land be used as a park. In the meantime, plans for the new library-event center took shape, the City created yet another vision of itself and the Comprehensive Plan underwent its seven-year cycle of massage and manipulation. The City organized plenty of public discussion around each of these activities. Missing in these discussions was a consideration of the city’s assets as a whole – as a system. This was nowhere more evident than in the discussions about the City’s parks and greenspace — which brings us back to those yellow signs. While the City was visioning and planning, the turf and facilities at the playing fields on south end of the MLK Park were deteriorating, and the bowling alley property stood vacant. Since the bowling alley was creating something of an eyesore on a major gateway artery, someone decided the City should have a plan — so GAI Consultants were retained to create one. At the April 10 meeting of the Community Redevelopment Agency (CRA), which is made up of the Commissioners and a representative from Orange County, Hal George, GAI made a presentation about their plans for creating a Master Plan. At that meeting, the Commissioners also decided to sell the bowling alley property, retaining only a right-of-way for a turn lane on Fairbanks. In light of the fact that the City was in the process of retaining an architect and landscape architect for the new library-event center, and they were now planning to dispose of the bowling alley property, GAI was advised that their MLK Park Master Plan should include only those parts of the park that did not include the library-event center or bowling alley areas. Why Sell the Bowling Alley? According to Commissioner Peter Weldon at the April 10 meeting, “Selling the bowling alley property now gives us the opportunity to do things that are much more tangible and beneficial to the City,” – like a third story on the new library-event center parking garage, or a parking garage downtown. “For one-third the money we have into [the bowling alley] land today, we could provide 100 parking spaces to expand the parking for MLK Park,” said Weldon. At the next Commission meeting, April 24, the bowling alley property sale appeared on the Consent Agenda as Item C. Items on the Consent Agenda do not require discussion or public comment. Commissioners Seidel and Cooper pulled Item C off the Consent Agenda for discussion. Commissioner Greg Seidel said the proposed sale needed more public discussion. Commissioner Carolyn Cooper agreed, requesting the item be tabled until there had been opportunity both for public discussion and for consideration by the Parks & Recreation Advisory Board, which had not had a voice in the decision to sell. She pointed out that the City seldom had access to land contiguous with an existing park – and in this case, the City already owns the land. Once the land is gone, we can’t get it back. The motion to table, or postpone the sale, failed on a 3-2 vote, with Cooper and Seidel dissenting. Cooper made a second motion to approve the sale contingent upon completion of the designs for the library and for MLK Park. That motion also failed on a 3-2 vote. The motion to approve the sale of the property, minus the right-of-way for the turn lane, passed on a 3-2 vote, with Cooper and Seidel dissenting. 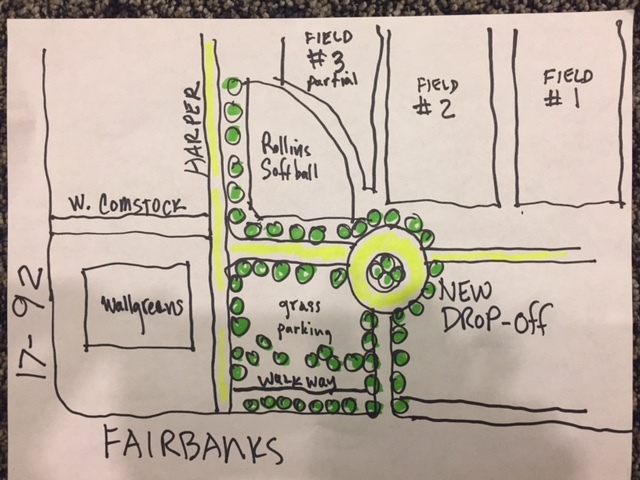 The next night, April 25, close to 100 people gathered at the Rachel Murrah Civic Center to discuss the Master Plan for part, but not all, of MLK Park. The GAI consultants explained that the bowling alley property and the new library-event center were not part of the discussion. Groups of people gathered around tables and used maps of the park and construction paper cutouts representing different types of public spaces to illustrate their visions of the park. As the various tables prepared to report out to the group as a whole, two things became clear. First, each table said they wanted the existing park facilities, especially the playing fields and water features, to be cleaned up and repaired. It would be okay, they said, to leave the rest of the park alone – just fix what’s there. “And don’t fill it up with shiny new stuff,” they said. Did the Master Plan Take a Wrong Turn? GAI held a second meeting at the Civic Center on May 2. Only 25 to 30 people came, many of whom had attended the April 25 meeting. Again, the over-arching themes included the desire to repair existing park facilities and opposition to the sale of the bowling alley. Additional meetings were to have been held in May, with a final plan due in July. According to Communications Director Clarissa Howard, the schedule for public meetings has been revised, and the next public meeting will be sometime in July. Howard reported that GAI has, however, held focus group meetings that included “moms, sport coaches, daycare nurseries, realtors, staff and other professions.” These meetings were not public, said Howard, nor was public notice required. “GAI will compile this input from the public forums and the focus group meetings into preliminary conceptual rendering to be presented at the meeting and on site walk planned in July,” wrote Howard. Comments opposing the sale of City land are too numerous to count, but there were some articulate ones on the subject of MLK Park and the bowling alley sale. While commenters were respectful, their comments indicated an underlying disconnect between Winter Park’s citizens and their elected officials. It is worth noting that at the May 24 meeting of the Parks & Recreation Advisory Board, Vice Chairman Julio de Arcos asked Parks & Recreation Director John Holland if anyone had sought his input on selling the bowling alley property. Holland replied that no one had. Advisory Board members expressed their opinion that the land should not be sold at this time. Citizens and Commissioners gathered once again Monday night to hammer out the few remaining bones of contention in the Comp Plan. The long and often tedious evening culminated in the adoption of a Comprehensive Growth Management Plan for the City of Winter Park. Citizens who spoke gave the Commissioners and Staff high marks for their hard work and dedication to the process. They also expressed appreciation that they felt they’d been heard. Commissioners considered a long list of amendments, most of them brought forward by Commissioner Carolyn Cooper. Six of the proposed amendments were approved by the Commission, and there was a verbal commitment to bring back for discussion two that were voted down. The revised Comp Plan, in its entirety, will be posted on the City’s website within the next few days. – The motion to prohibit ‘big box’ stores over 65,000 square feet within the City limits failed, but Mayor Leary supported the ban on single-tenant retail over 65,000 square feet and agreed to have City staff come back at a future date with suggestions on how best to include this language. – The motion to include language about the City’s intent to purchase the Post Office property also failed. The Commissioners all said they supported the City buying the property, but did not agree the language belonged in the Comp Plan. 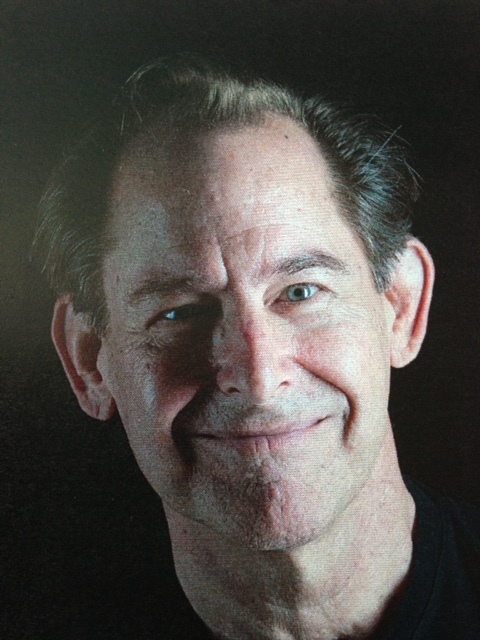 Winter Park resident Forest Michael proposed two policies, both of which were incorporated into the new Comp Plan. Michael’s policies are specific to the Hannibal Square neighborhood and are as follows. While current Comp Plan provisions deal thoroughly with land use, particularly regarding what developers may and may not do in a given location, little attention is given to policies addressing how the City will invest in land and build infrastructure for the City’s future. Winter Park resident Bob Bendick, who is Director of The Nature Conservancy’s Gulf of Mexico Program, spoke about what he called “shortfalls in the investment part of the plan.” The message seemed to be that while the City is willing to pay lip service to greenspace and conservation, there is little actual funding to back it up. While the Comp Plan encourages greenspace in general, said Bendick, there is insufficient commitment to investing adequate City funds to restoring Mead Garden, acquiring remaining open space at the Genius estate and, more broadly, in creating a connected framework of greenspace and waterways for the City’s future. The Comp Plan encourages pedestrian and bicycle activity, but fails to allocate sufficient funds to construct the facilities necessary to make walking and cycling safe and enjoyable in our City. “We believe the location of the largest civic investment in the City’s future – the new library/events center – is at a place seemingly at odds with . . .the proposed plan,” said Bendick. Bendick suggests a re-examination of the City’s investment strategy in the public spaces and facilities that are critical to maintaining Winter Park’s quality and character in the years to come. Does the Comp Plan Reflect Your Vision of Winter Park? After months of visioning, advisory board meetings, focus groups, public input meetings, commission meetings, hundreds of thousands of words written on thousands of reams of paper — the Commission will take a final vote on the City’s Comprehensive Growth Management Plan (Comp Plan). Monday’s vote will be the culmination of a months-long effort to gaze into the crystal ball of Winter Park’s future. As the Visioning process wound down last summer, City staff and elected officials turned their attention to putting the Vision into concrete terms. Months of hard work have produced a lengthy and complicated document. The number of people able to wrap their heads around the whole thing probably can be tabulated on your fingers alone – no need for toes. Is it a perfect document? No, but this is Earth – where things aren’t perfect. The level of engagement of City staff, elected officials and citizens has been nothing short of extraordinary. Few documents rise to this level of effort and dedication. Is it Over? Should You Remain Engaged? Our Comp Plan is a living document. While it is legally enforceable, it is not written on stone tablets – and, as with everything that happens in this City, there is always room for discussion. So, yes, continuing engagement should be a consideration for all of us. Two features have been eliminated from the revised Comp Plan that may still warrant discussion, even at this late date. One is more abstract, the other quite concrete. Semantics? Yes. However, try this. Now, do the same thing – but this time, evoke in your mind’s eye the image of “village character.” There is a difference. Also missing is the concrete prohibition on single-tenant retail stores of over 65,000 square feet – so-called big box stores – within City limits. To put that in perspective, the Publix at Winter Park Village is 55,922 square feet. For a community the size of Winter Park, that is a large store by any measure, yet it is nearly 10,000 square feet smaller than the ‘big box’ formerly banished from within City limits. Why eliminate this proscription? Does Winter Park need the equivalent of one Winter Park Village Publix plus a really big McMansion worth of retail space under one roof? The biggest reveal is the use of a previously untried planning tool known as the “Mixed Use Overlay” to create a Medical Arts District near the Winter Park Hospital campus. The area will include medical, wellness and associated businesses, as well as residential facilities for assisted living, memory care and dedicated workforce housing for medical service employees. Click here and scroll down to Line 40 for a description of the planned Medical Arts District. Exactly what this overlay might entail for us would be the end-product of a year-long process of creating Winter Park’s version of the tool. Which is to say, plenty of discussion is likely to occur before this becomes a reality. So stay tuned. Click here and go to Line 46 for a more thorough explanation of the Mixed Use Overlay. Should You Attend Monday’s Commission Meeting? Many have argued that the key to Winter Park’s value as a community is the quality of citizen engagement. Monday’s agenda is a full one. The Agenda Packet is more than 700 pages long. There will be things you won’t want to miss. The March 27 Commission meeting shows what can happen when a city like Winter Park tries to solve a systemic parking problem one project at a time. Things don’t work out the way everyone thinks they’re going to. The 133,830 square feet of commercial development sent forth March 7 by the Planning & Zoning Board arrived at the City Commission March 27. The meeting, which began at 3:30 pm, lasted until nearly midnight. By 10:30 or so, many of the people who were still hanging in there were scratching their heads. The remarks in these video clips, which occurred toward the end of the meeting, tell the tale. Three large commercial construction projects – Orchard Supply Hardware at 2540 Aloma Avenue, Villa Tuscany Memory Care Center at 1298 Howell Branch Road, and the BFC Holdings project at 158 E. New England Avenue – shared the agenda with a presentation of the Comprehensive Annual Financial Report (CAFR). All three construction applicants sought variances because of insufficient parking. First up was Lowe’s subsidiary Orchard Hardware Supply, to be built on the current location of the Aloma Bowl. Orchard needed a total of 135 parking spaces. They had 87 spaces on site and could lease 24 additional spaces from neighboring Panera Bread, leaving them 24 spaces short. Strong opposition came from the bowlers, represented by Winter Park High School bowling team captain Danielle Allison. Ms. Allison and her volunteers had gathered nearly 3,000 signatures of citizens seeking to keep the facility open as a bowling alley. The sale of Aloma Bowl to Orchard was contingent on Commission approval. Despite the Commissioners’ understanding and their admiration for Ms. Allison’s tenacity, at the end of the day, Orchard’s fortunes rose and fell on parking. After discussion and citizen commentary, the Commission voted to deny the application, pointing out that if the applicant would consider a smaller building, their parking dilemma would go away. The following day, Ms. Allison told the Voice that she hoped Aloma Bowl would remain open for the community, but she said she did not know the owner’s plans for the building. The owner of Aloma Bowl could not be reached for comment. Next up was the Villa Tuscany Memory Care Center at 1298 Howell Branch Road. This was to be a 41,000-square-foot memory care and assisted living project that would be built on land zoned R-3, high density residential, that sits adjacent to a single-family residential neighborhood. The neighbors had well-organized opposition, not to the proposed use of the facility, but to the size and scale, which they said was incompatible with the surroundings. Even though residents of the facility would not have cars, plans for the facility did not provide adequate parking on site for staff and visitors. The applicant would be able to lease the missing parking spaces, but those were on the other side of Howell Branch Road. Commissioner Peter Weldon broached the possibility of tabling the project and allowing the applicant to come back at a later date with revised plans for a smaller project. Weldon failed to receive a second for his motion, however, and the Commission voted 5 – 0 to deny the application, pointing out once again that a smaller project would obviate the need for extra parking. By the time attorney Mickey Grindstaff approached the podium on behalf of the Battaglia family’s 52,000-spare-foot project at 158 E. New England Avenue, tension in the chamber was palpable. While the BFC Holdings project had City staff support, P&Z had sent the project forward with no recommendation. Ms. Stone did not elaborate on what those differences might be. Planning Manager Jeff Briggs acknowledged that no other building in Winter Park enjoyed this reduction in parking requirement. Stone recognized the need for further study of how parking functions in downtown Winter Park. 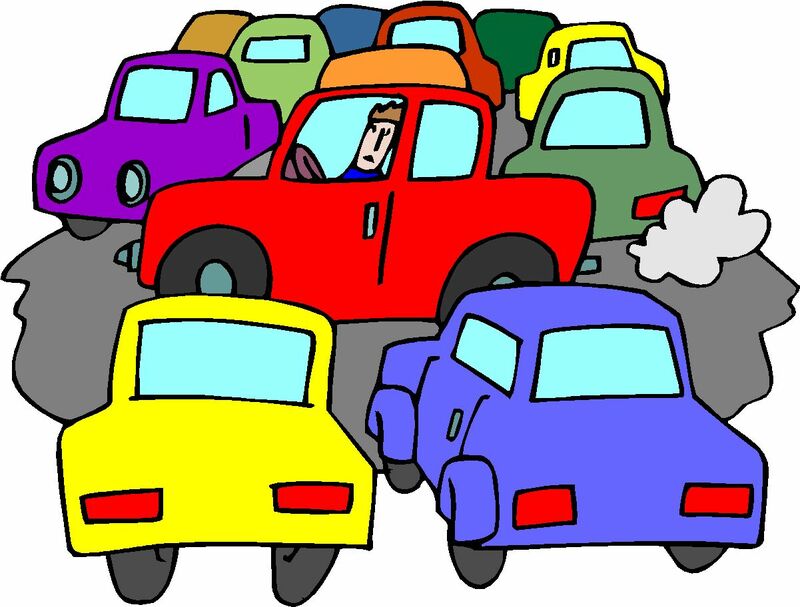 “No matter how you count the spaces,” she said, “downtown Winter Park has parking issues.” Staff will embark on the fourth parking study in seven years – which those in the know believe will result in a recommendation for some sort of parking structure in the Central Business District. Grindstaff noted that BFC Holdings is being asked unfairly to shoulder a city-wide problem. But it is not just the BFC project that is suffering. Alan Deaver, a merchant and property owner in downtown Winter Park, collected signatures from 45 Park Avenue merchants who are being squeezed by the parking deficit and who will be severely impacted by the BFC Holdings project. “How much longer until everyone goes to the mall?” he wanted to know. Using the new math, BFC New England would need 133 spaces for office and retail, and an additional 95 spaces for the two restaurants planned for the ground floor of the new building. The developer plans to put 57 spaces on site and to use 90 spaces in the Bank of America parking garage across the street, which they also own. The 90 B-of-A spaces would be available only by valet, as the garage is closed to the public. Using the newly contrived formula, BFC is short 81 parking spaces. Compare this with the 24 spaces Orchard was short and the four spaces Villa Tuscany was short. It’s worth pointing out that by existing code, to which the other projects were held, the BFC project is short 121 spaces. Mayor Steve Leary finally showed mercy on those assembled by moving to table the BFC Holdings application. His motion passed on a 5 – 0 vote. The BFC New England project will now make its way back through City Planning staff. There is no scheduled date for its return to the Commission.